Men, it’s that time of the year again! You know, the time of the year where you get to treat yourself AND get spoiled on at the same time. The time of the year where you receive love and appreciation to the fullest. Yes, that’s right, your special holiday. Valentine’s Day is in the air and what better way to prepare for it than to look good for the big day? With Valentine’s Day being literally around the corner, now is the perfect time to decide which haircut preference suits you the best. Men usually tend to try something new around this time of the year, so knowing which hairstyle fits your face shape will save you havoc in the long run. So far, 2018 has been the year of men wearing longer hairstyles with flow and movement. The haircut trends are beginning to have a more natural look, that is styled with a lighter hold and extra volume. 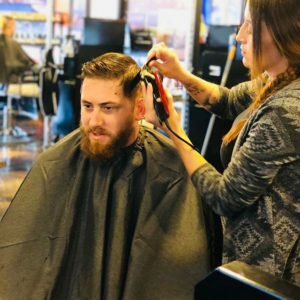 If you are looking to get any of these haircuts listed above done before or on Valentine’s Day, feel free to contact us today at any one of our locations. Speaking of locations, Hair Mechanix has two newer locations for those of you who live further out. These locations are located in Troy, MI and Jacksonville, Florida. Feel free to check them out! Hair Mechanix never fails at giving their customers their absolute very best. Seeing our customers happy is what keeps us motivated and on our toes. Give us a call and experience the Hair Mechanix Experience for yourself! We take tips as well.